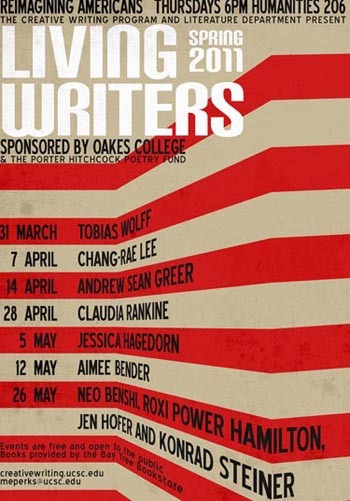 Each quarter, the Humanities Division’s Living Writers Reading Series brings visiting authors and poets to UCSC, providing students with an in-depth look into the world of the working writer. This spring, the series kicks off on March 31 with Tobias Wolff, the acclaimed author of This Boy’s Life and In Pharaoh’s Army. The lineup also includes award-winning authors Aimee Bender, Chang-rae Lee, Andrew Sean Greer, Claudia Rankine, and Jessica Hagedorn. All guest lectures take place on Thursdays, from 6 to 7:45 p.m. at the Humanities Lecture Hall. The public is welcome, and admission is free. “We are so excited to be bringing these world-class writers,” said associate literature professor Micah Perks. Perks coordinates the Living Writers Reading Series with literature professor Karen Yamashita, who was recently nominated for a 2010 National Book Award in the fiction category. Perks and Yamashita are co-directors of UCSC’s Creative Writing Program. Books by the visiting writers will be available for purchase at each event, courtesy of the Bay Tree Bookstore. The Living Writers Reading Series is sponsored by Oakes College, with support from the Porter Hitchcock Poetry Fund. 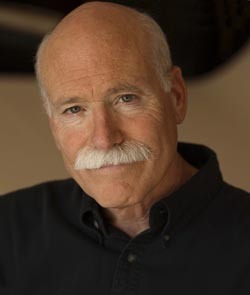 March 31--Tobias Wolff’s books include the memoirs This Boy’s Life and In Pharaoh’s Army; the short novel The Barracks Thief; three collections of stories, In The Garden of the North American Martyrs, Back in the World, and The Night in Question. His most recent novel is titled Old School. Wolff has received numerous awards, including the PEN/Faulkner Award, the Los Angeles Times Book Prize, the Rea Award for Excellence in the Short Story, the Fairfax Award for Lifetime Achievement in Literature, the PEN/Malamud Award for Achievement in the Short Story, and the Academy Award in Literature from the American Academy of Arts and Letters. April 7--Chang-rae Lee’s first two novels, Native Speaker and A Gesture Life, have between them won a host of literary honors, including the Hemingway/PEN Award for first fiction, QPB’s New Voices Award, the Barnes & Noble Discover Great New Writers Award, an American Book Award from the Before Columbus Foundation, the Oregon Book Award, and the Asian-American Literary Award. Lee was recently selected by The New Yorker as one of the Twenty Best Writers Under Forty. His work has appeared in The Best American Essays, The New Yorker, The New York Times, and numerous anthologies. April 14--Andrew Sean Greer is the bestselling author of The Story of a Marriage, which The New York Times has called an “inspired, lyrical novel,” and The Confessions of Max Tivoli, which was named a Best Book of 2004 by the San Francisco Chronicle and the Chicago Tribune. His ﬁrst novel, The Path of Minor Planets, and his story collection, How It Was for Me, were also published to wide acclaim. Greer’s stories have appeared in Esquire, The Paris Review, and The New Yorker, and have been anthologized in The Book of Other People and Best American Nonrequired Reading. He is the recipient of the PEN/O’Henry Prize for Short Fiction, the Northern California Book Award, the California Book Award, and the New York Public Library Young Lions Award. April 28--Claudia Rankine was born in Jamaica in 1963. She is the author of four collections of poetry, including Don’t Let Me Be Lonely, The End of the Alphabet, and Nothing in Nature is Private (1995), which received the Cleveland State Poetry Prize. Rankine is co-editor of American Women Poets in the Twenty-First Century (Wesleyan University Press). Her poetry is also included in several anthologies, including Great American Prose Poems: From Poe to the Present, Best American Poetry 2001, Giant Step: African American Writing at the Crossroads of the Century, and The Garden Thrives: Twentieth Century African-American Poetry. She teaches in the writing program at the University of Houston. May 5--Jessica Hagedorn received her education at the American Conservatory Theater training program. To further pursue playwriting and music, she moved to New York in 1978. Joseph Papp produced her first play Mango Tango in 1978. Hagedorn's other productions include Tenement Lover, Holy Food, and Teenytown. Her mixed media style often incorporates song, poetry, images, and spoken dialogue. Hagerdorn is the author of the novel Dogeaters, which illuminates many different aspects of Filipino experience, focusing on the influence of America through radio, television, and movie theaters, and which earned a 1990 National Book Award nomination and an American Book Award. 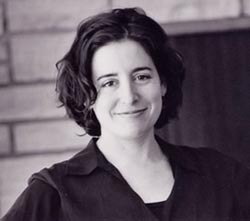 May 12—Aimee Bender is the author of four books: The Girl in the Flammable Skirt (1998), which was a NY Times Notable Book; An Invisible Sign of My Own (2000), an L.A. Times pick of the year; Willful Creatures (2005), which was nominated by The Believer as one of the best books of the year; and The Particular Sadness of Lemon Cake (2010), which recently won the SCIBA award for best fiction, and an Alex Award. Her short fiction has been published in Granta, GQ, Harper's, Tin House, McSweeney's, and The Paris Review, as well as heard on PRI's This American Life and Selected Shorts. She has received two Pushcart prizes, and was nominated for the TipTree award in 2005, and the Shirley Jackson short story award in 2010. May 26—Neo Benshi, Roxi Power Hamilton, Jen Hofer and Konrad Steiner present a new take on the Japanese tradition of “benshi”—a writer or actor who provides live narration and commentary alongside films. The neo-benshi concept invites writers/performers to choose scenes from well-known narrative features or TV shows, mute the soundtrack, and re-inscribe the familiar images with new meanings. More information about the UCSC Living Writers Reading Series can be found at the Literature Department web site.